With a challenging year of political and economic uncertainty now behind us, US corporate boards are turning to priorities for 2019 — a year likely to bring more volatility and disruption. With the board agenda packed and the roles and expectations of directors continuing to grow, a company’s board is expected to play a more active role than ever before. Companies today must strategize for challenges beyond the horizon while driving current business. This duality — performing in the short term while investing for the future — is key to thriving in today’s era of disruption. Because pursuing innovation that supports long-term sustainability can dampen short-term performance, the board’s role in helping guide and oversee strategy is especially critical. Boards should work with management to frequently revisit the strategic plan, seek third-party data and outside perspectives, and embrace an activist mindset to challenge biases and refresh the strategic planning process. Leading boards are transforming the way they govern and oversee risk management to include a stronger focus on strategy, performance and the company’s core values and desired culture. This includes evaluating whether the board’s composition, committee structure, management reporting to the board and meeting agendas enable sufficient oversight of key strategic and risk management issues. Boards should seek external research and analyses to evaluate emerging risks, as well as leverage third-party resources to validate the company’s risk mitigation in areas such as cybersecurity, data privacy and geopolitics. They should also oversee management’s framework for training employees on their personal responsibilities related to risk management and take part in tabletop exercises that test the company’s strategic resiliency across various risk scenarios. Talent and culture now play a much greater role in driving value. Having the right people and culture is key to enabling innovation and unlocking competitive advantage. Today’s top talent seeks to work for companies that have a clear purpose, a strong culture and respected reputation, and that are investing in their employees and benefiting society. Boards should look beyond the C-suite to better understand and oversee talent and culture issues across the organization. This should include regular interactions with, and reporting from, the chief human resources officer, reviewing talent-related performance metrics (e.g., diversity and inclusion metrics, employee engagement scores and whistle-blower hotline activity) and overseeing how broader pay practices align with the company’s values and goals. A growing range of stakeholders are seeking greater insights into corporate purpose and how companies are addressing environmental and social matters that impact long-term value. Well-governed companies understand the need to build inclusive, sustainable value for multiple stakeholders. If companies respond to customer needs, invest in their employees for the long term, do right by the communities and physical environments in which they operate and have a strong, fundamental purpose that benefits society, their shareholders should benefit. The real opportunity in 2019 is to drive a long-term-oriented strategy and effectively communicate and engage stakeholders around the company’s long-term value proposition. Boards need to challenge whether the company is consistently communicating its purpose and efforts to provide sustainable, inclusive growth. To address the growing demands and complexity of their work, boards should rigorously evaluate their performance, using a tailored approach that demands thoughtful self-inquiry. Evaluation should also take place on a more regular basis to encourage candid, real-time feedback that can be quickly acted upon, improving information flow, decision-making, dynamics and performance. Boards need to regularly look at composition and structure to determine whether new committees need to be established, membership refreshed or duties and responsibilities expanded as strategy and key risks evolve. They must also challenge whether they are getting the right information from the right sources at the right time, including seeking outside perspectives and experience as appropriate. 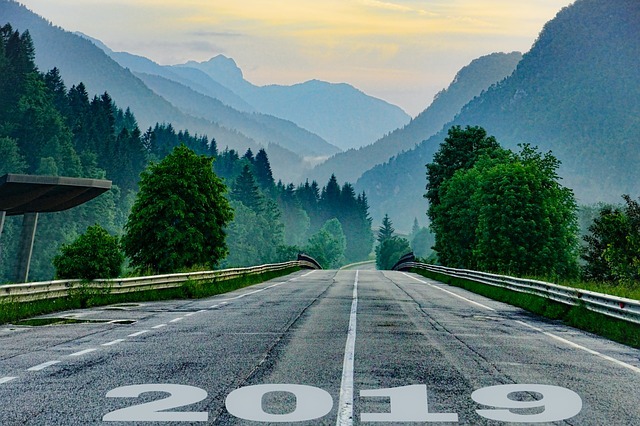 2019 will certainly bring more challenges and opportunities to today’s boards. By asking thoughtful questions, considering different perspectives, clearly communicating, and focusing on governing in the most effective way, boards can help organizations flourish in the next 12 months and beyond.